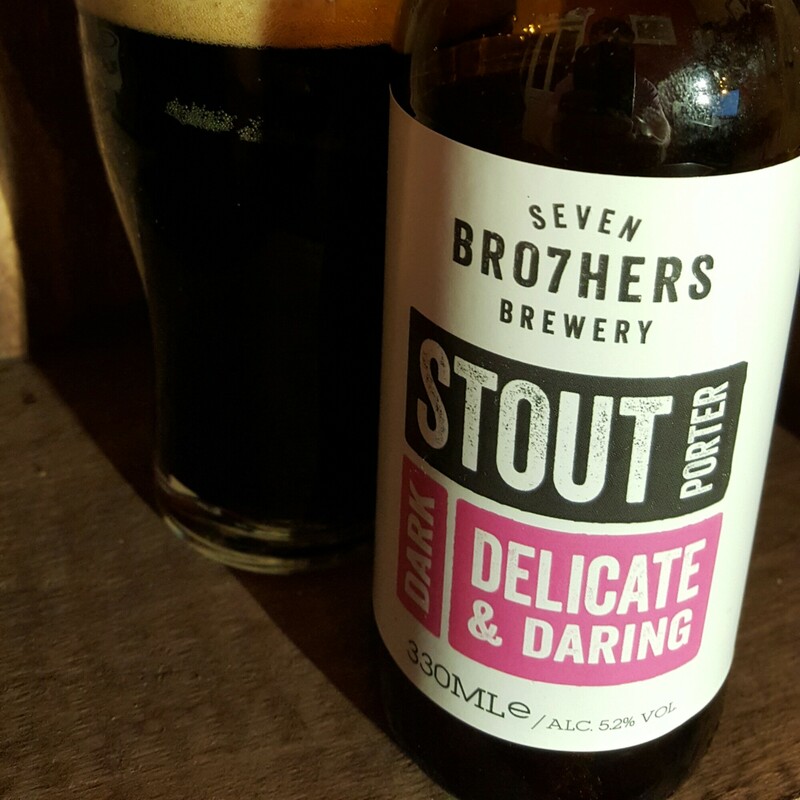 Three beers from Seven Bro7hers | Simon Says… You really should drink this! 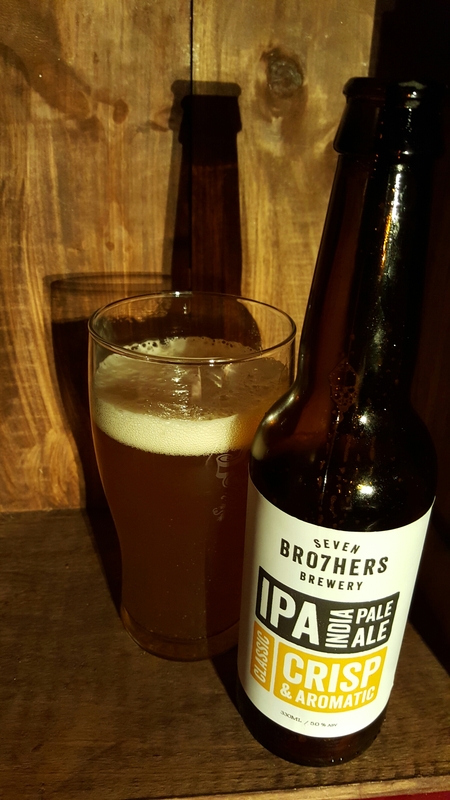 Manchester’s Seven Bro7hers Brewery is carrying on a family tradition of home brewing. A trip to Oslo inspired them to start production on a larger scale. They aspire to brew well made accessible beers. They’ve now started to be distributed in Ireland by Four Corners so I was able to order a few bottles from McHughs.ie. I had the IPA first. It was as ‘crisp and aromatic’ as the label promised and the added grapefruit means it’s pleasantly dry. The perfect beer to wake up your palate. 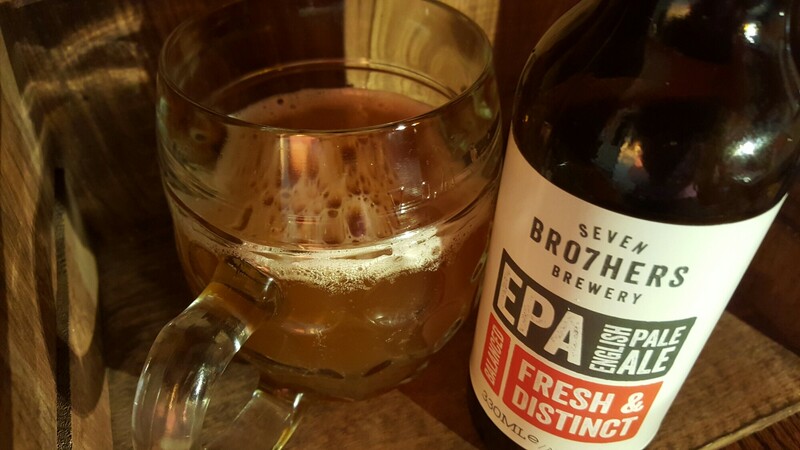 The EPA or English Pale Ale is a mellower affair. I got citrus aromas again as well as some fresh cut grass but I may have imagined that, it is grass cutting season after all. I enjoyed it with some salmon cakes. thanks to Amy from Four Corners who sent this on to me( I asked for it!) By the way there really are seven brothers, it’s not just a gimmick. Sláinte! This entry was posted in Uncategorized and tagged 2015, Beer, IPA, Manchester, off license, Porter, stout. Bookmark the permalink.